Shop invitations in our newest collection. e·phem·er·a [noun] - Written or printed memorabilia that are used & enjoyed for only a short time. 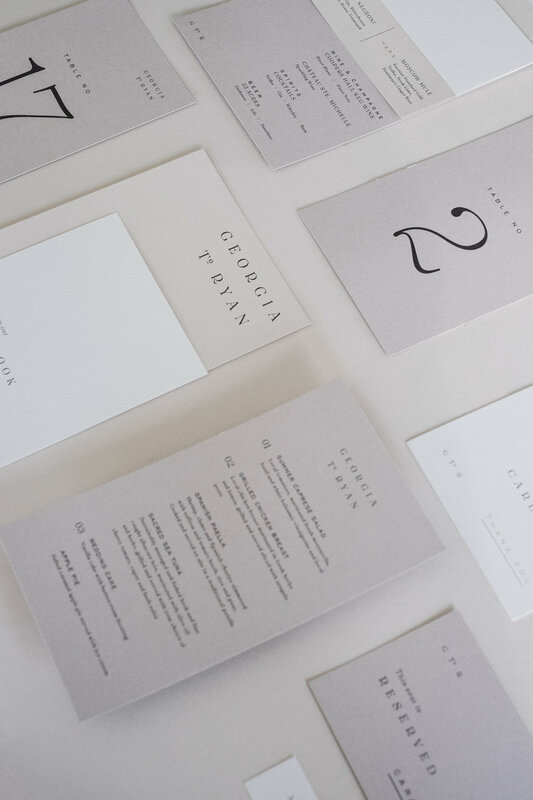 The Ephemerie offers a selection of semi-custom event day stationery suites, designed to complement your event style. We believe that beautiful design shouldn’t always have to come at bespoke prices – especially for paper goods that aren’t meant to last forever. Our collections are modern, refined and on trend (without being trendy). Our commitment is to deliver a polished and curated assortment that won’t overwhelm, and a streamlined service that won’t take up all your time. The Ephemerie also offers a unique selection of display items for hire locally!